Recently, some road upgrading works in Attapeu Province in Laos were being carried out on a road that used to form part of the Ho Chi Minh Trail during the Vietnam War. The North Vietnamese Army and the Viet Cong used the Ho Chi Minh Trail to move men, weapons and supplies from North Vietnam through Laos, Cambodia and into South Vietnam, often under the cover of dense, triple-canopy jungle, which mostly hid the Trail from US bombing. The driver's seat. 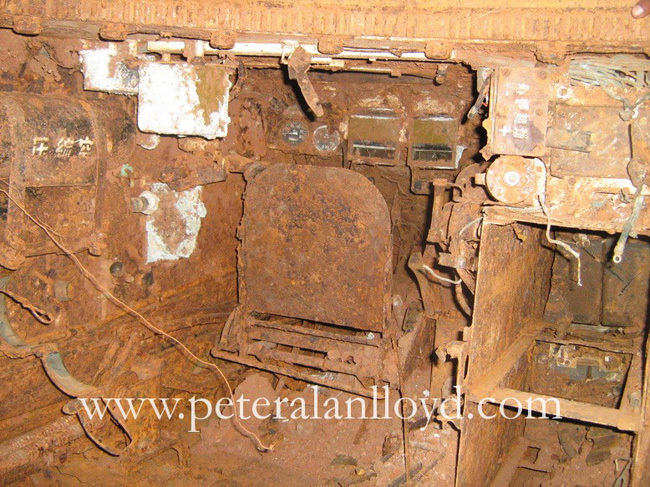 The glass prisms allowed the driver to see while the hatch was shut. 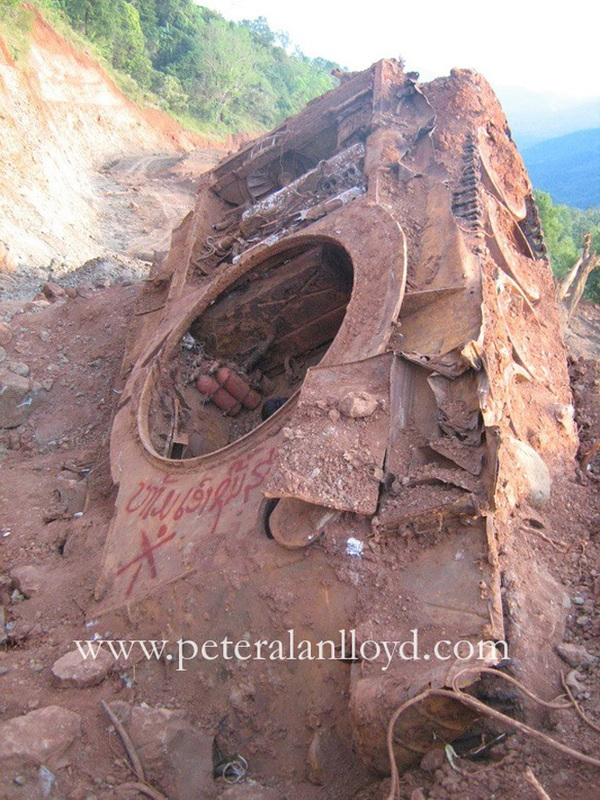 One of the road-building crews unearthed this tank, which may have been bombed off that part of the Trail snaking its way along the mountain above, and it had lain buried ever since. Editor's Note: The Tank is a Chinese supplied Type 59 which was a copy of the Soviet T54A. 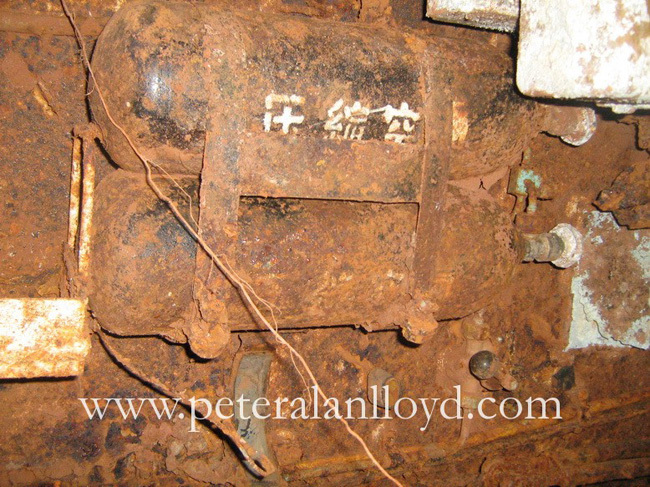 Note the Chinese lettering on the tank's tanks. 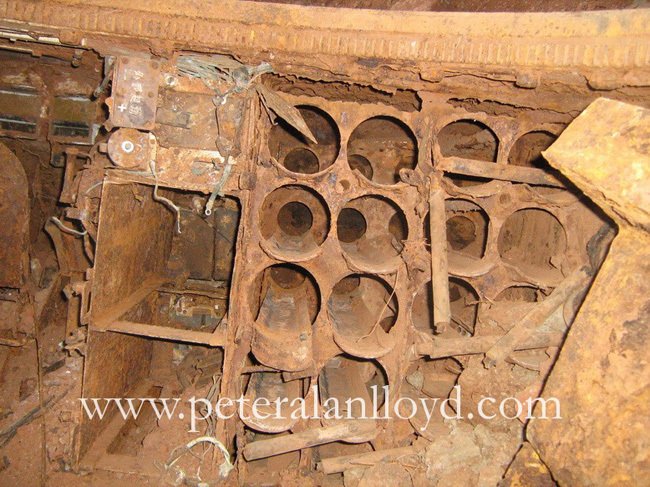 There were still munitions on board, and it was in excellent condition. UXO Lao's Attapeu office were called out to deal with the unexploded ordnance on board and to pose for some souvenir photographs into the bargain. I never cease to be amazed at how hard the UXO and mine clearing teams work in Laos when I meet them and go into the field (or, usually, into the jungle) with them, and I will be featuring some of their photographs of demolitions and the incredible hardships they have to go through to do what they do in the jungles and rivers along the Ho Chi Minh Trail, in future articles. Going out with them along the Trail in the remote tri-border area, where Laos meets Cambodia and Vietnam, gave me much inspiration for my novel, Back, which catapults events along the Trail during a 1968 SOG into a modern-day backpacker setting in the dark tri-border jungle. And that's why I like stories like this, as they bring events from those times into the present day, especially along the Ho Chi Minh Trail, where the legacy of the Vietnam War is far from over. 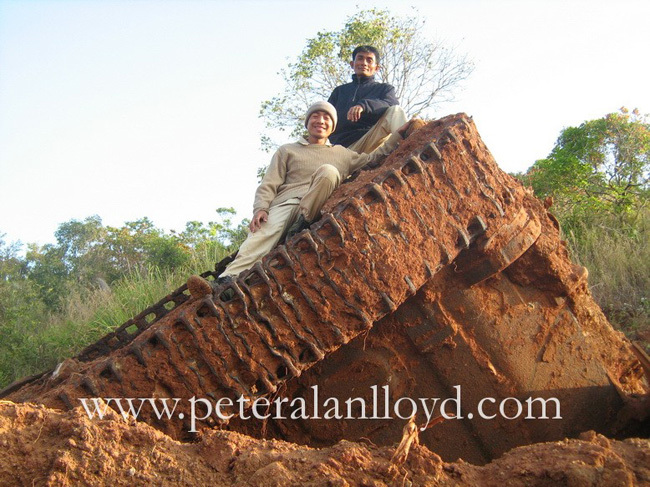 Peter Alan Lloyd, the author of Back, is a British freelance writer living in Thailand.